Great thought-provoking sci-fi book. Fast paced and with aliens that really are. 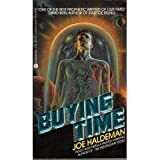 A classic nearly forgotten now, but this sci-fi book really is very ambitious with its huge step forward into the future. Enough so that it also inspired Benford to write a sequel. Classic Farmer action at its best. The man has quiet a crazy imagination. This book is so ambitious in its scope (billions of years in the future), yet so immediate in its action. 100 page fight scene too, awesome. The exotic feel in this novel has to be read to be believed. Its lush, sensual and exotic. Explores all sorts of interesting themes about different kinds of modified and alien sentience. Incredibly fun tale about a future where some live forever, and most can't afford it. Absolutely mind blowing and visionary future civilization. Takes many of the consequences of pervasive machines and AI's to astounding conclusions, painting a world of intense intricacy. The feel here humans lost as cockroaches amidst the giant and incomprehensible scale of a galactic mechanical civilization is awesome. The story and characters aren't the best ever, but the intricate depictions of altered far future minds are awesome. My all-time favorite sci-fi book. It has an almost unparalleled sense of scope combined with some very moving stories and fantastic writing. While Andy's spent his professional career in the video game industry (you might know a little game franchise of his called Crash Bandicoot), he's always been a voracious reader with an especially strong interest in Science Fiction, Fantasy, and History.